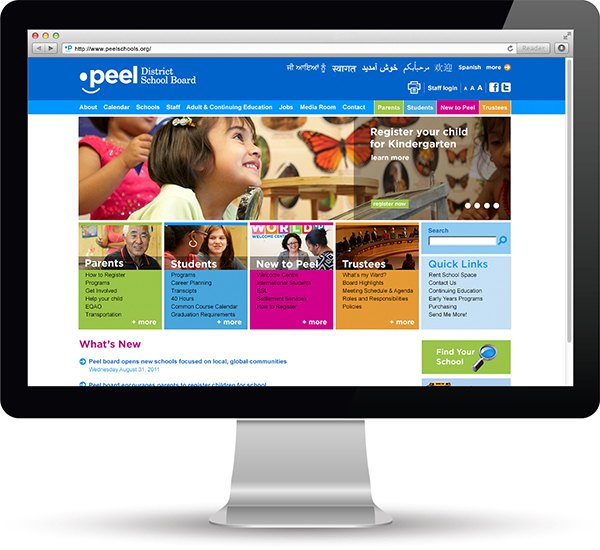 We created a public website for Peel District School Board. 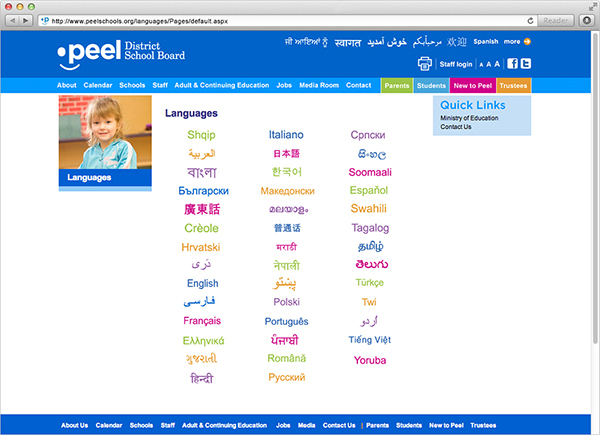 As one of the largest school boards in North America, the board serves a diverse range of audiences. Our challenge was to connect emotionally with each of them – at the same time as exposing over 15,000 pages of content in 42 languages. The site design extended very tight visual identity standards onto the web, while at the same time providing an immensely scalable information architecture. The scope of our involvement has included the entire site development process, from strategy, to focus groups, to design discovery, to user interface design and information architecture, to project management, to offshore development, to launch strategy. This site has won a number of awards over the years. We also designed previous generations of this site.